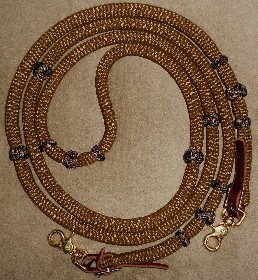 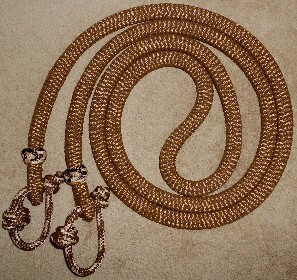 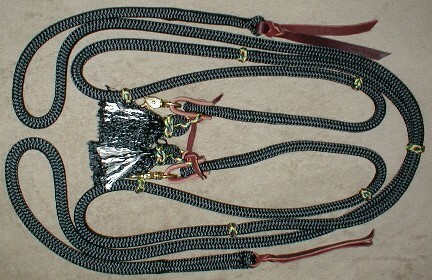 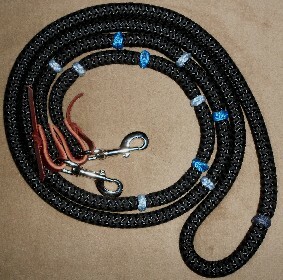 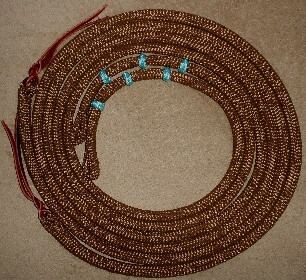 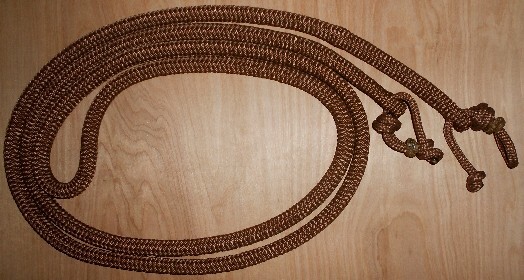 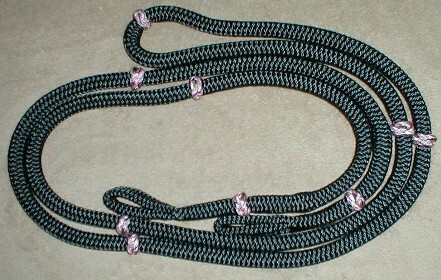 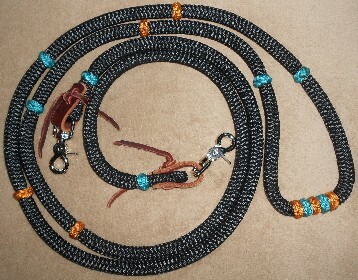 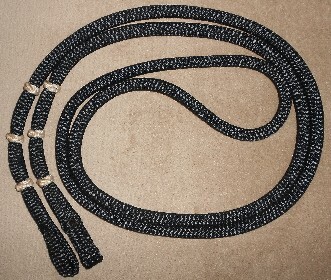 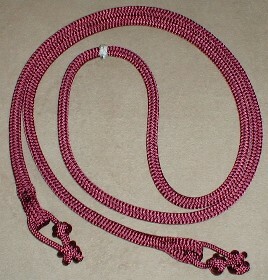 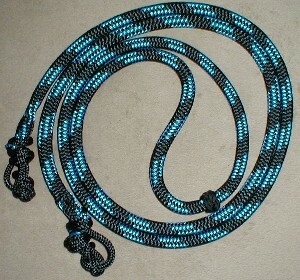 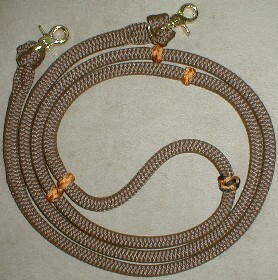 Although these reins maybe more expensive then cotton, derby rope, leather, etc... they are well worth the money. 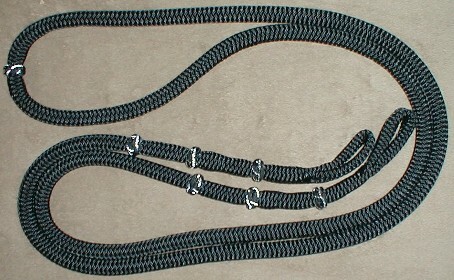 They wear like iron. 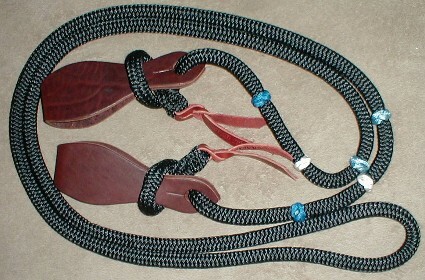 Our reins are made with leather water loops so the snaps can be replaced, since the snaps will wear out long before the rein itself. 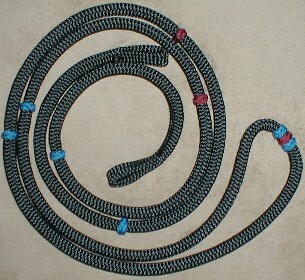 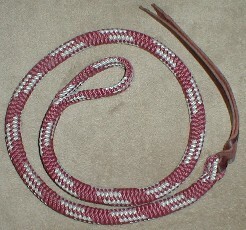 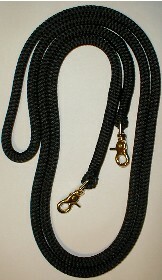 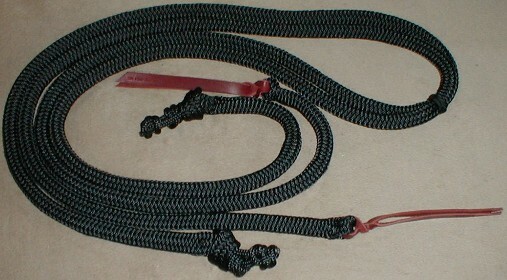 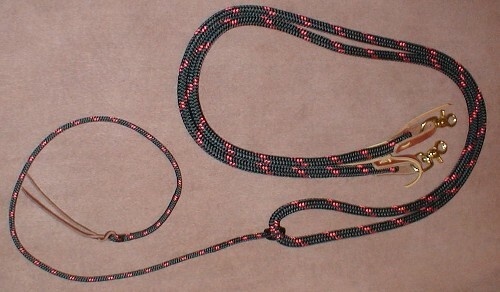 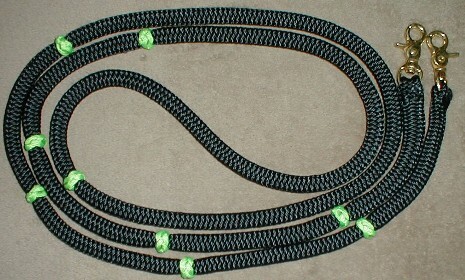 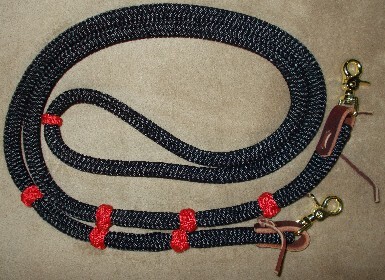 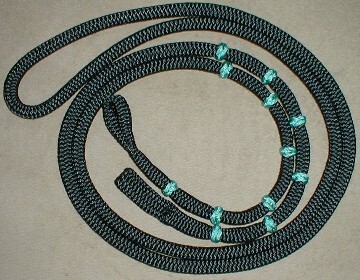 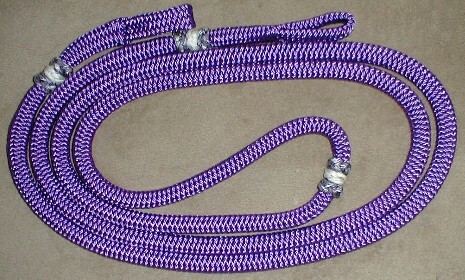 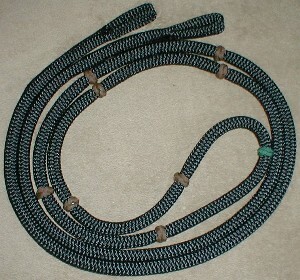 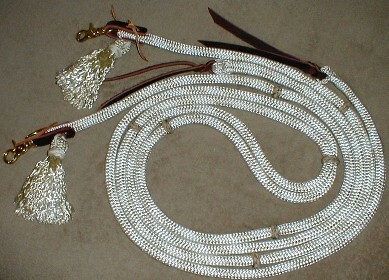 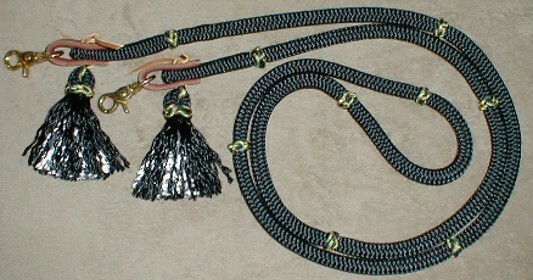 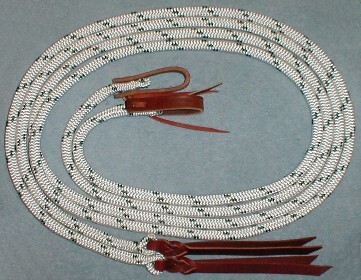 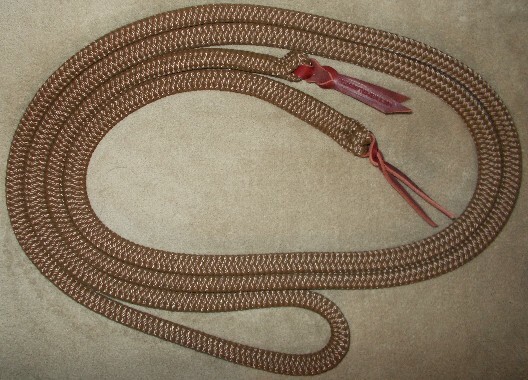 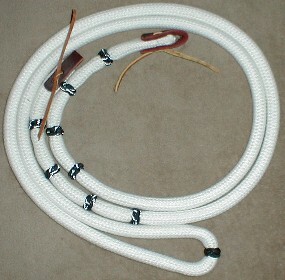 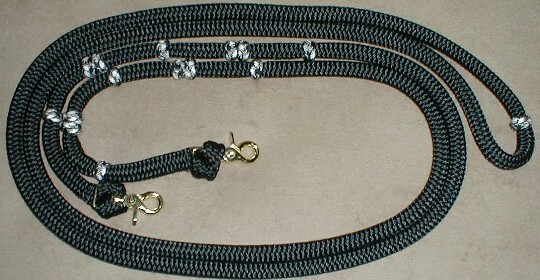 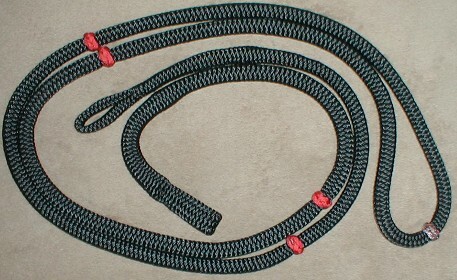 These reins are very effect in training horses for several reasons. 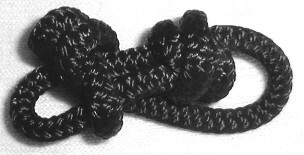 One they have a braided inner core and a braided out cover so the two parts move independently from one another creating that "live" feel. 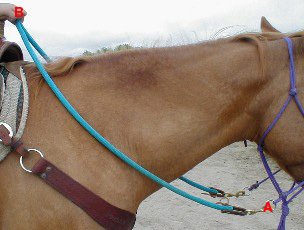 Two they are heavy in weight which allows the slightest cue to be felt by the horse, the reward comes quicker so the horse learns faster. 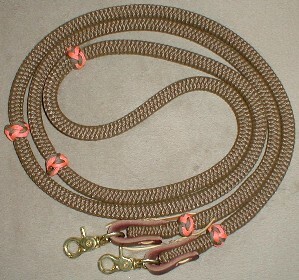 No wonder top trainer prefer reins like these. 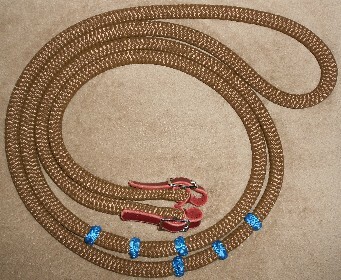 New policy starting 6-10-09, there will be no returns on reins!!!! 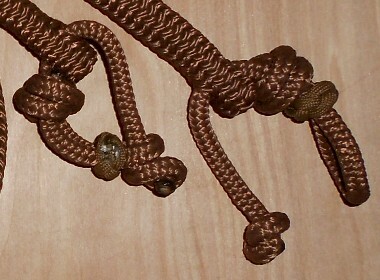 Reason being is customers order the wrong length and then want to exchange (which I have always done in the past) for a longer rein. 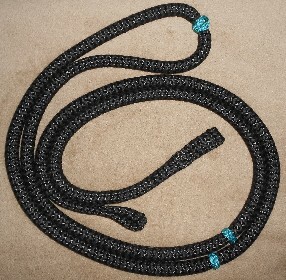 The chances of someone wanting that same length and color is slim to none, I have a whole tub of exchanged reins in short lengths!!! 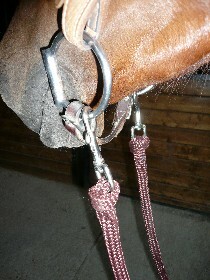 This seems to be an on going problem on ordering the right rein length, why I am not sure?? 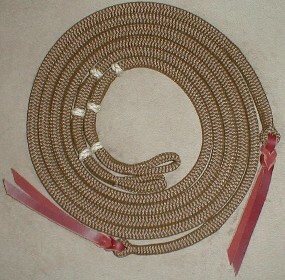 Measuring for rein length should be easy. 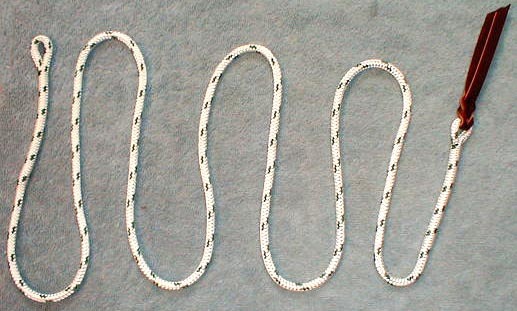 Simply measure from the bit A to where your hands would be when riding B, then double it or measure a rein you have that you are happy with the length of. 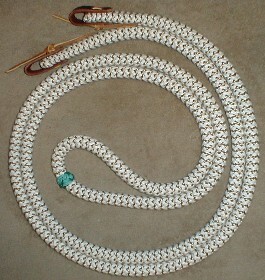 That should give you the correct length. 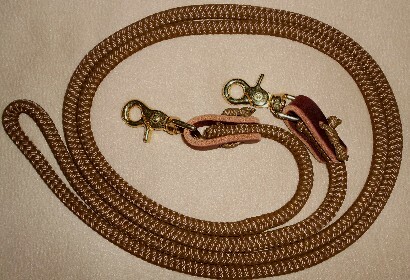 All reins that have snaps come with Brass or Nickel Trigger or Brass Bolt Snaps please let me know what type you would like when ordering. 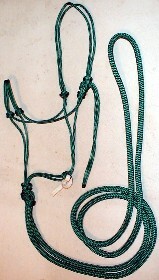 Our new Snap Alternatives work great with Loop End Reins or Reins with broken snaps. 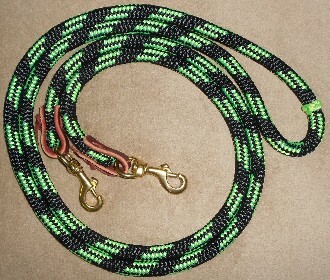 Also work great on leads. 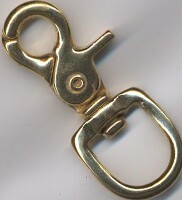 Open and attach to bit, slide closed. 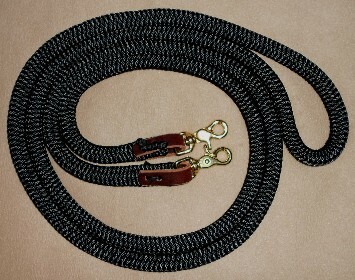 They work great for bridles. 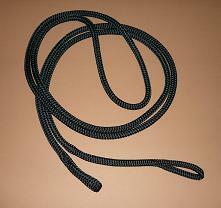 are easy to replace a snap if one should break. 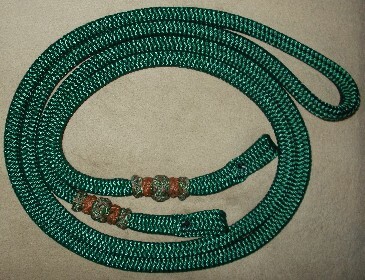 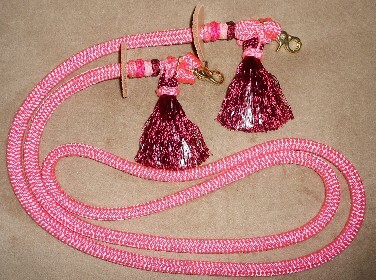 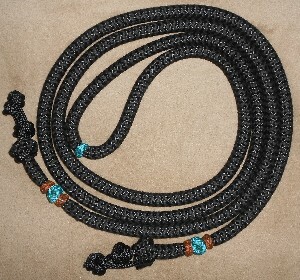 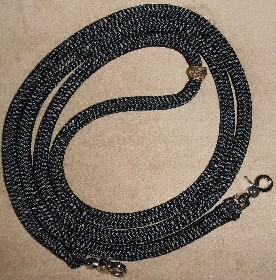 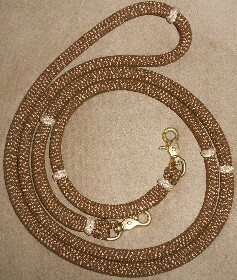 Will adjust 2' in total length. 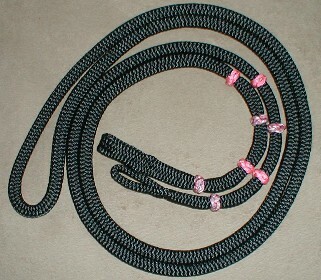 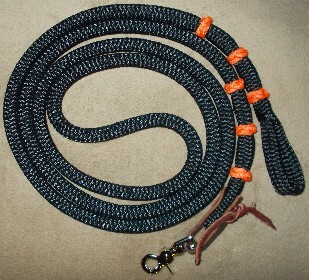 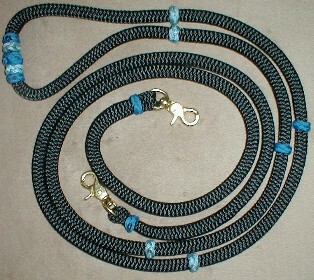 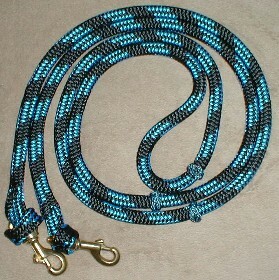 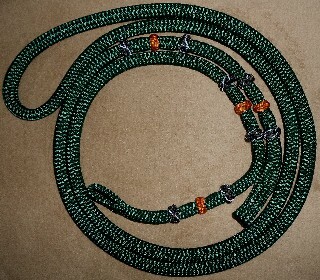 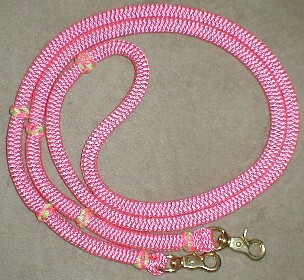 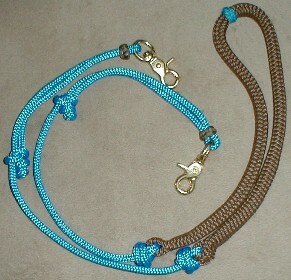 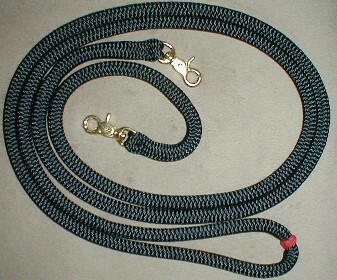 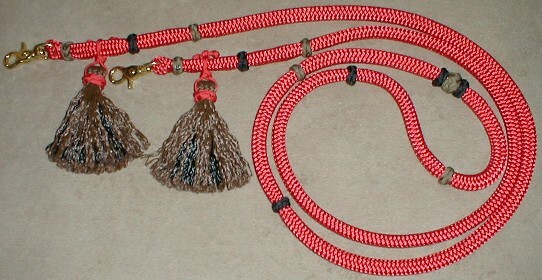 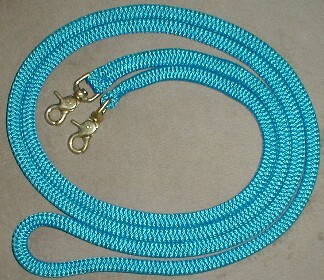 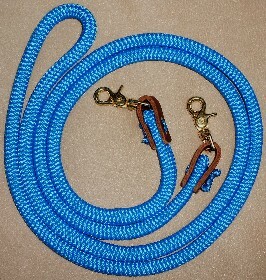 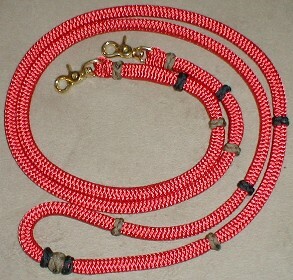 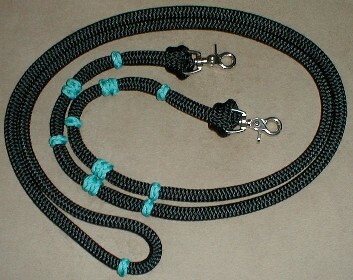 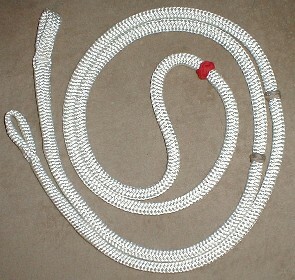 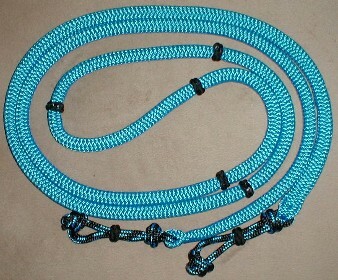 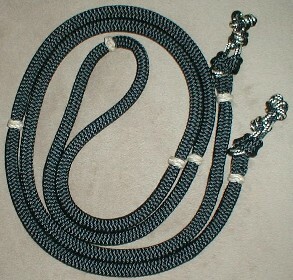 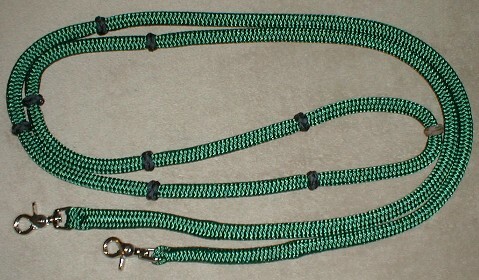 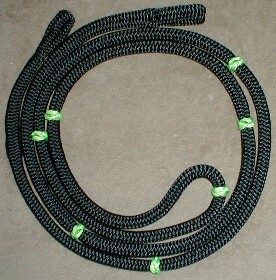 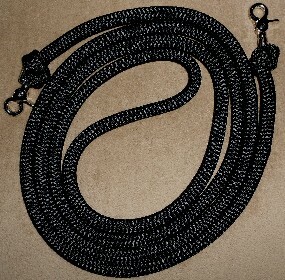 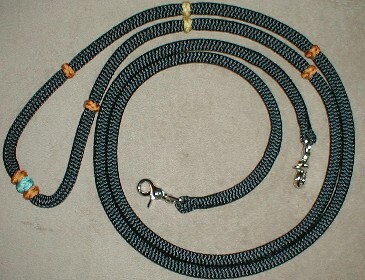 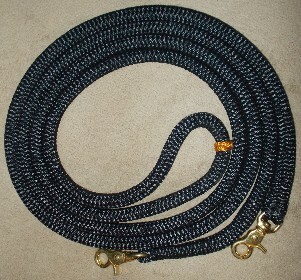 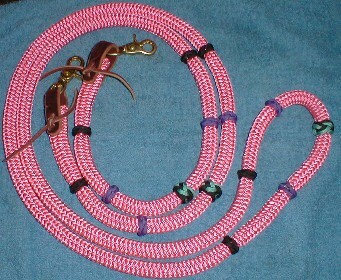 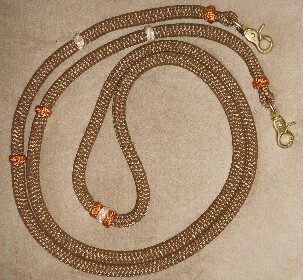 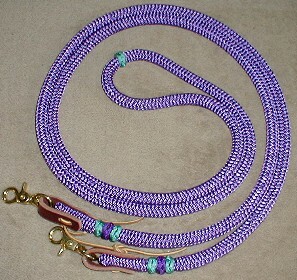 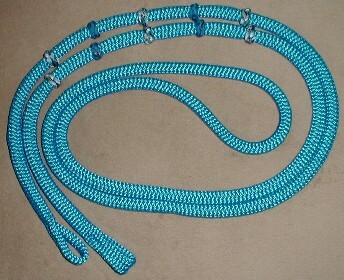 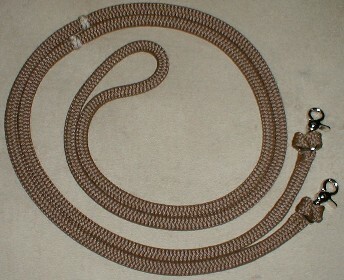 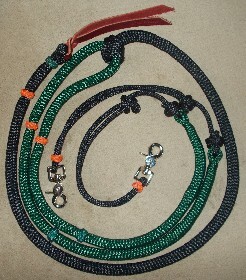 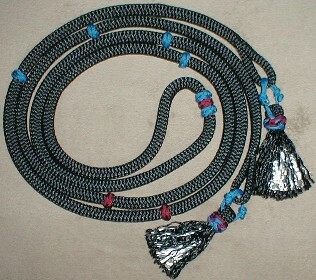 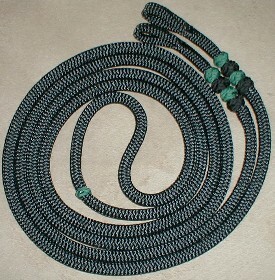 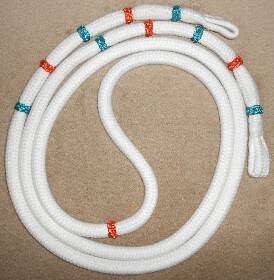 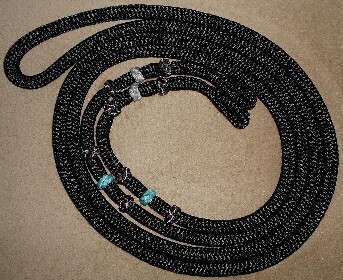 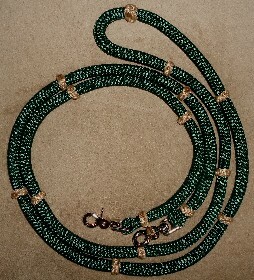 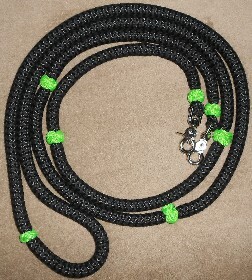 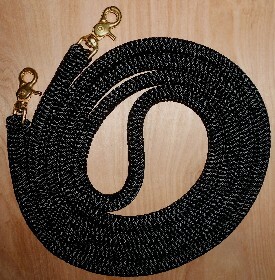 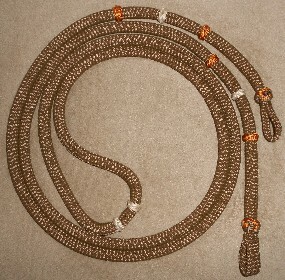 Want to have a Romal for your 1/2" Loop Rein?? 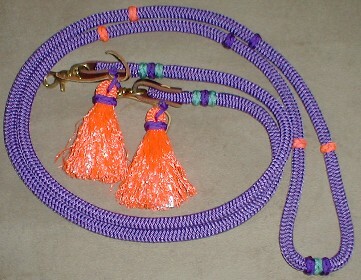 You are buying just the Romal, NOT the Rein!